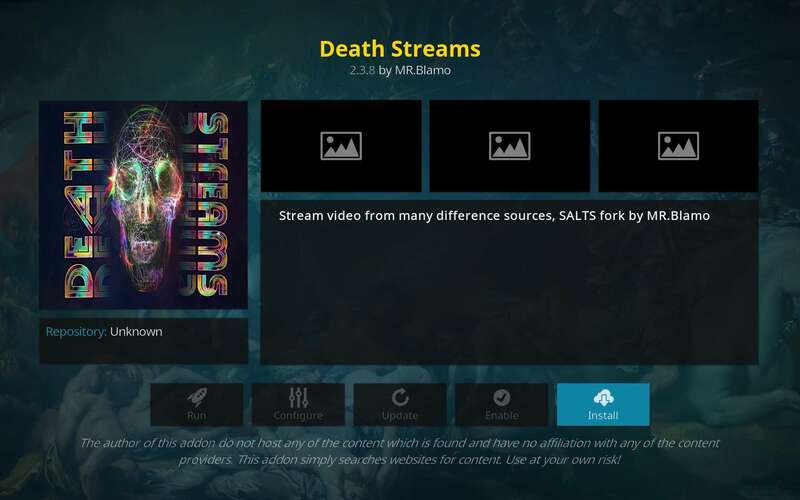 A promising new fork of the beloved and sorely missed SALTS from TV Addons, Death Streams appears worth a look. Much like Kodi community favorites Covenant, Elysium, and Bennu, Death Streams scrapes over 80 sources online for movies and TV shows. It also does this in style while giving you maximum control. Death Streams gives you control over which sites get scraped and in what order. You can set default views for all and individual screens. 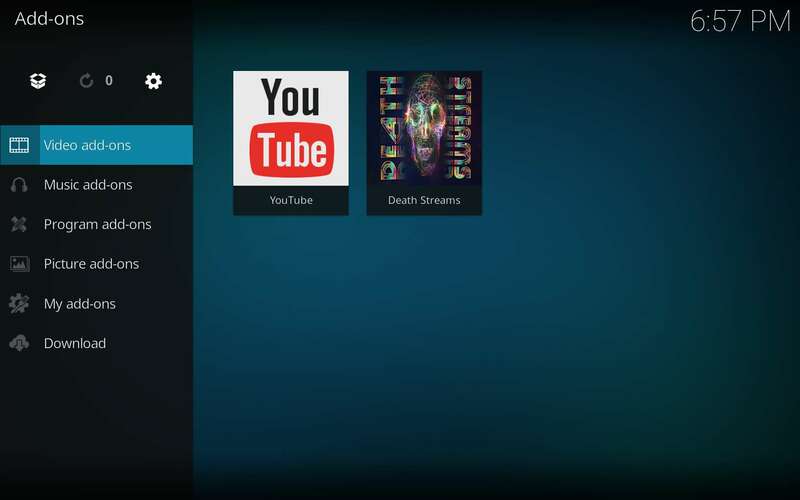 Death Streams can even access your trakt.tv account, then keep track of which episodes you’ve seen. You can change individual trakt.tv settings right inside Death Streams and follow another person’s watch list. Many government agencies consider much of the content Death Streams provides illegal to access. The repository that Death Streams was born into, Colossus, went under during the legal unrest of November 2017. Be sure you know the laws in your area before getting yourself in hot water, then protect yourself from being monitored and logged with IPVanish. Whether accessing this site from Ashburn, VA or not, you are vulnerable. Be sure you’re protected from prying eyes with the best VPN for Kodi. Forked from SALTS and further developed by Kodi scene newcomer Mr Blamo, Death Streams has very nicely categorized content. The top level of the menu is a bit hard to get lost in, consisting only of Movies, TV Shows, and Settings. There’s no wondering what menu items like Lurpy’s Privates or Beeboppa Derp could lead you into (then wishing you hadn’t). Along with these menu items, the TV Shows category sports two additional categories. General Calendar for showtimes, and a Premiere Calendar exclusively for first episode showtimes round out the TV Shows section’s menu. 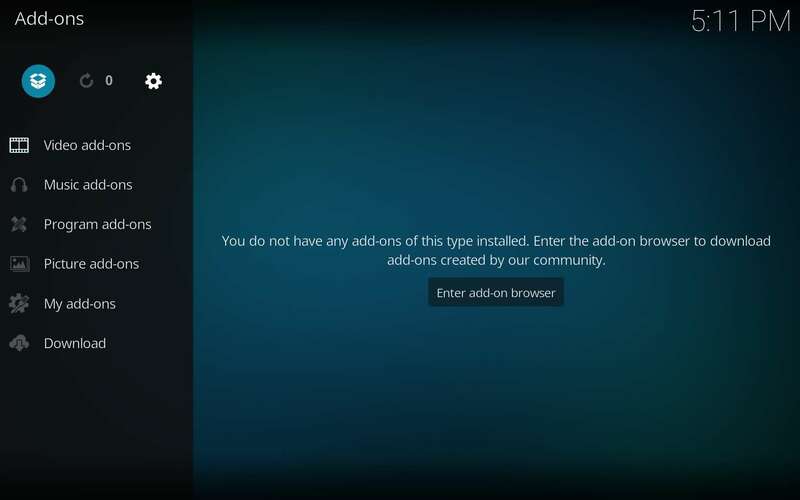 With Kodi 17 Krypton, the XBMC / Kodi Foundation now requires you to manually enable Unknown sources be used. If you don’t change this Kodi setting, then you can’t install Death Streams. If not certain what I’m talking about, then browse the very simple KFireTV guide Enable Kodi Unknown Sources. We’ll still be here when you get back in a moment. If you’ve installed TV addons a few times now, then you should just need the repo source. 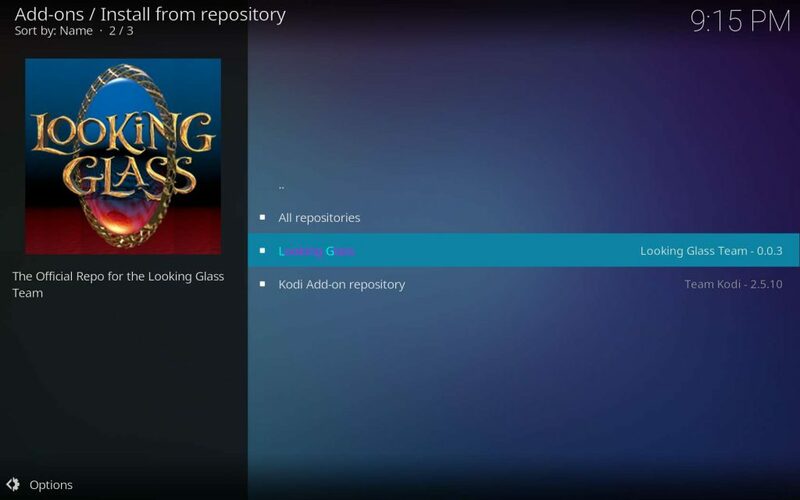 You’ll find the XBMC / Kodi Death Streams TV addon in the Looking Glass repository. The previous home to Death Streams, Colossus repo, along with its parent, the Ares Project’s repository, died tragically at the hands of the MPA and ACT. You will find Death Streams within the Looking Glass Repository. If you have this installed already, great! Go on to the next section where we get Death Streams installed. If you need the Looking Glass repo installed, check out our Looking Glass Repo installation tutorial. We’ll walk you through the process quickly and easily, and have you back in time for brunch. We’re in the home stretch now. The Looking Glass Repo installation gave us everything we need for a smooth Death Streams install. 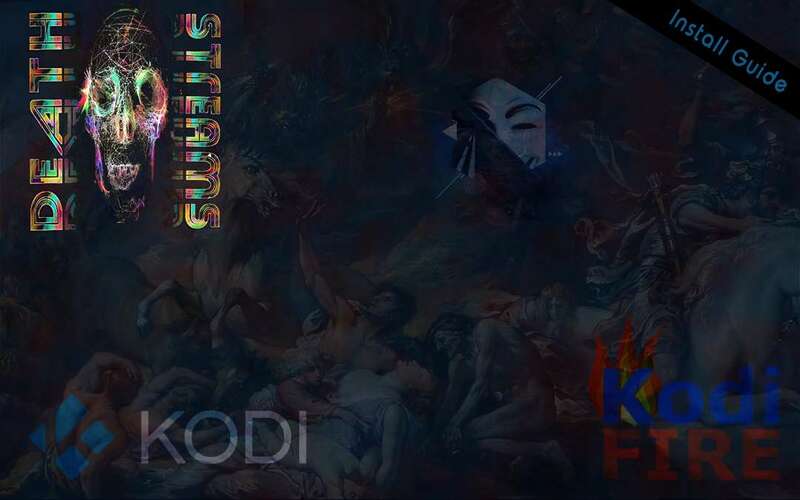 The fantastic Kodi TV addon Death Streams is right around the corner. 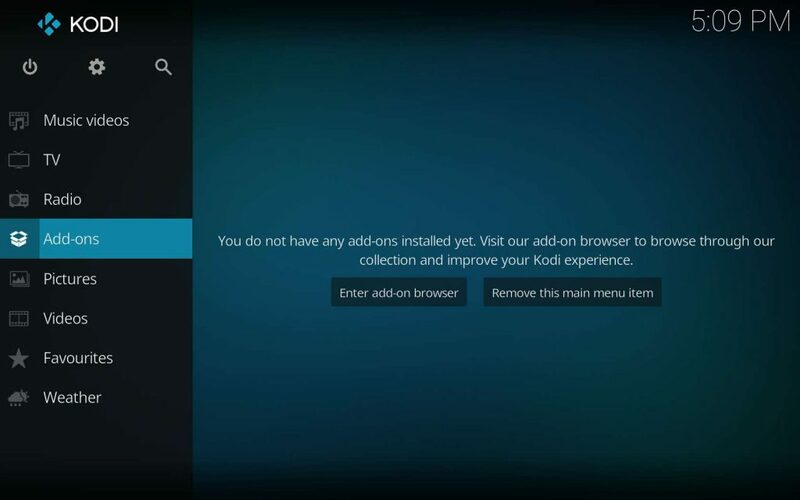 Head into the Add-ons menu item from Kodi’s front page. Then, enter the Add-ons browser, which looks like an open box. 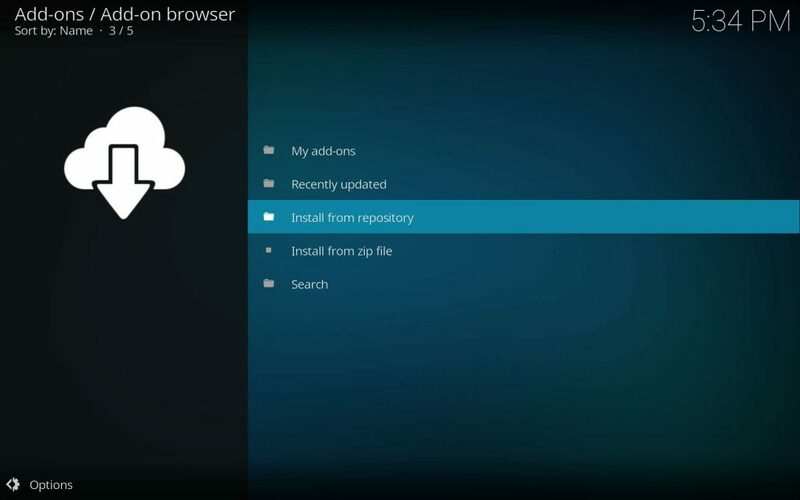 Elect to Install from repository. Now, select the Looking Glass Repository. Go into the Video add-ons section of Looking Glass. 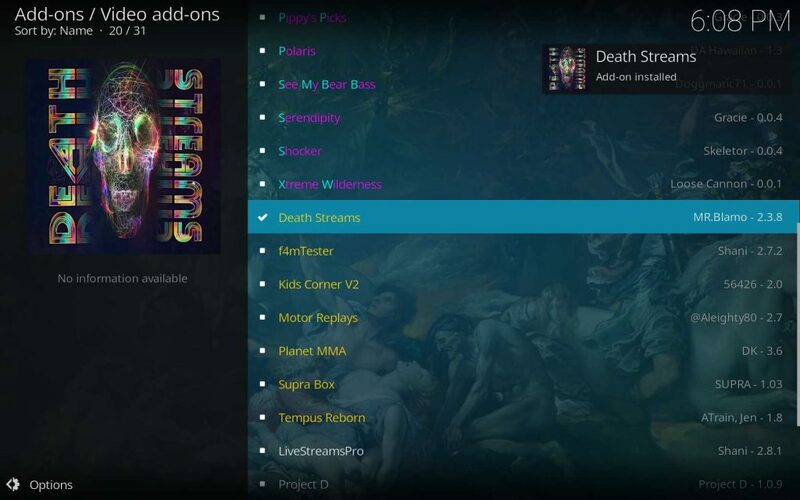 Then, choose Death Streams to install. Several dialogs will popup in the screen’s top right while the various dependencies install, then the last one will tell you Death Streams installed. 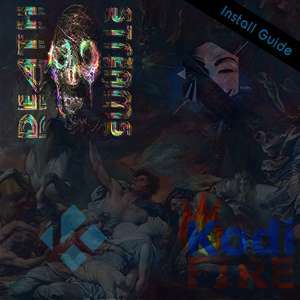 You will now find Death Streams in the Kodi Video add-ons folder! Newly added to the Colossus repository just before that repo died, Death Streams quality made it appear to have a long and prosperous run ahead of it. Let’s hope the developer can get back in there and continue their efforts, which look great so far. As one of the most well organized Kodi TV addons available, Death Streams surely pleases with its huge volume of wonderful content. Just make certain you protect yourself with a high quality VPN, then partake! IPVanish keeps you, your data, and your browsing habits invisible to everybody online. The inevitable note from your ISP asking you to cease and desist the streaming of unlicensed content doesn’t have to be inevitable. Enjoy Death Streams safely ensconced within a super secure VPN! Remember, the XBMC / Kodi Foundation support sites label Death Streams as unofficial. Neither the XBMC Foundation nor Kodi TV will give any support regarding questions concerning unofficial TV addons. They will probably give you a stern word concerning piracy, then ask you to leave. Feel free to ask whatever you like in the comments below. We’ll be happy to help in any way we can, then simply ask you for a cup of coffee! SALTS lives on as Death Streams! Install guide to the most well organized scraper Kodi TV addon for movies and TV shows for Fire TV and Fire TV Stick.